The future is now, mums and dads, because Kinderling Kids Radio is beaming all the good stuff into homes across the country. 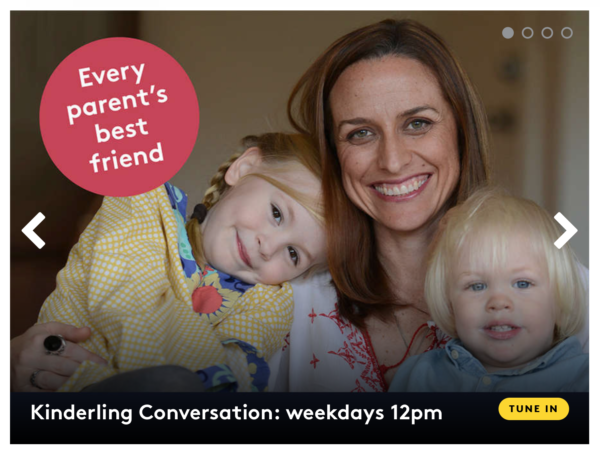 Here’s what our discerning Babyologists thought of this family-friendly broadcaster (and a whole bunch of reasons you might like to jump on the Kinderling Kids Radio bandwagon!). Engaging, family-friendly radio is here! Whether you’re listening as you cut the crusts off toast, before the kindy run or in the car on the way home from childcare, Kinderling Kids Radio has something engaging and fun for your family to enjoy together. “Made meal prep times easier for me as the baby was distracted with the songs and also me singing along. Nap time songs put baby to sleep!” Stephanie told Babyology. “My daughter loves music, so finding a station that only plays kid friendly songs is fantastic to keep her entertained or distracted,” Babyology mum Kita said. Daisy said it’s not just the kids that wound-down with Kinderling Kids Radio. “It calms me and the kids,” she told us. Rachel loved the fact that she could download Kinderling Kids Radio’s mixtapes to play out and about, offline. “The mixtapes were particularly useful in the car where I don’t have wifi access. The kids love family friendly music going to school and after school activities,” Rachel said. Kita loved the music programming on Kinderling Kids Radio too, and was surprised at the diverse selection on offer. “My daughter loves an eclectic mix of music, so it didn’t come as a surprise that she would bop out to anything but ballads. I was pleasantly surprised to hear a nice mix however, as had thought it would mainly play ‘kid’ music. I certainly appreciate a bit of variety!” Kita told Babyology. 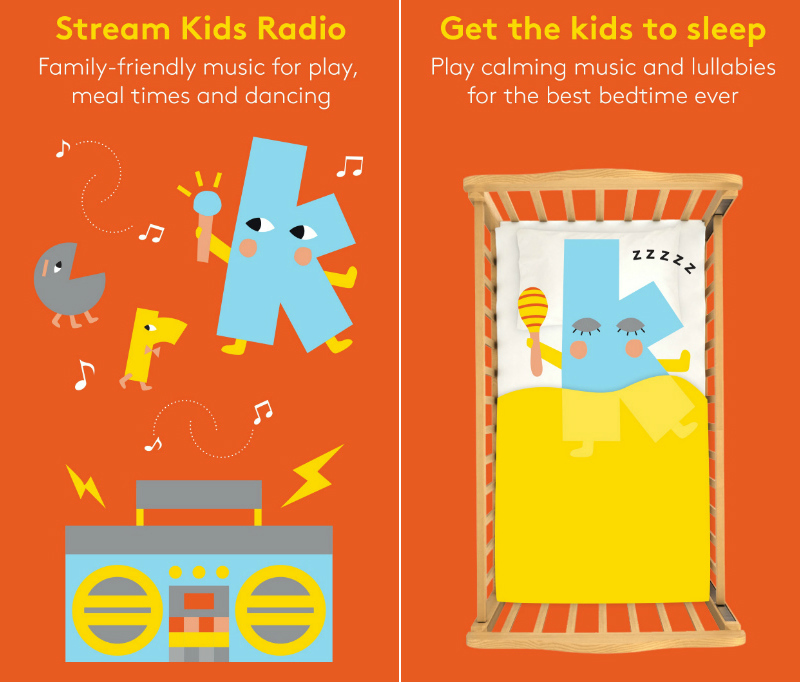 Kinderling Kids Radio boasts a useful selection of Sleepytime Soundtracks to help kids relax and settle down at bedtime. The parents we spoke to particularly loved this idea! “There were a variety of Sleepytime Soundtracks available for me to choose from and they vary in length up to three hours. The best feature of it was that the tracks were soft and soothing and still work even when you turn off the screen of the phone unlike YouTube – which will stop playing as soon as you turn off the screen,” mum Carmen explained. Carmen also found the Kinderling Conversation program, which offers expert parenting advice at lunchtime every weekday, to be super useful. “It had great advice available which you can just listen to while in the middle of other duties. Like all busy mums, it’s hard to get 10 minutes to yourself to look up information let alone read it,” Carmen said. The families that tried Kinderling Kids Radio were keen to incorporate the station and app into daily life. “It’s a great source of podcast audio for the week. Which is handy if you are heading out of town. The audio books are awesome especially with the artists performing them,” Rachel said. “I think it’s brilliant and every parent should have it,” Babyologist Daisy agreed. “It’s a great app. There are so many features and love the variety of music and programs on demand. I love that I can leave it playing and trust that the songs are appropriate, unlike radio stations which sometimes have inappropriate music for kids,” Stephanie explained. Carmen sang Kinderling Kids Radio’s praises for a whole bunch of reasons. With glowing reviews from fellow tech-savvy parents, who could resist Kinderling Kids Radio’s charms?! 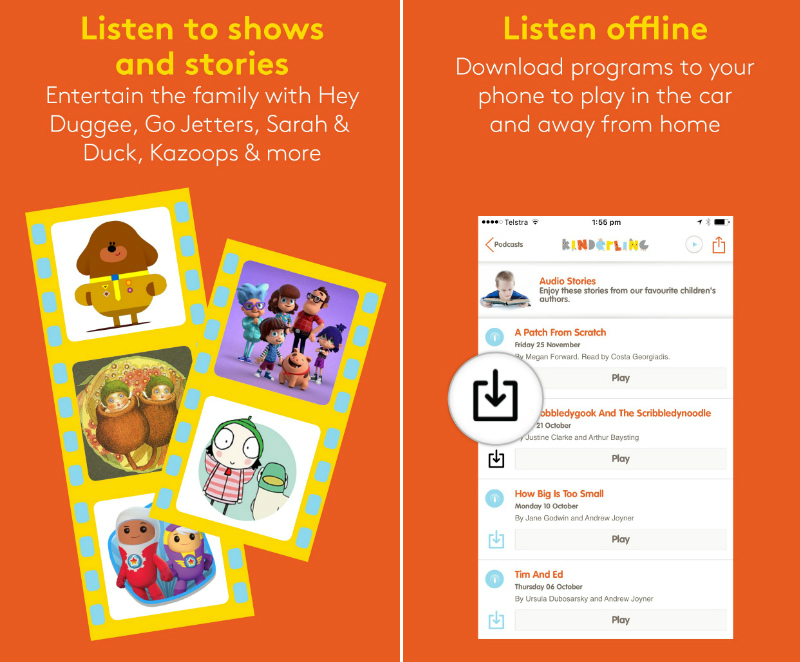 Kinderling Kids Radio is available on digital radio, as an Android or iPhone app, or online.